When I first watched this, I thought it was okay, but I later ended up watching it a second time and ended up loving it. Maybe it grew on me, I don't know, buy I thoroughly enjoyed this. While this is a bit of a dark comedy with some action and a road trip vibe, the general subject is a serious one showing how it easy it is for someone to steal your identity and destroy your life. Melissa McCarthy, the main actress, talks about that in the behind the scenes featurette included in this DVD. She was ready to cut up all her credit cards when she realized how dangerous identity theft is in general. 1.0 out of 5 starsCouldn't finish. I know other reviewers found this very funny and watched repeatedly, etc. and I relied on that in making my selection. But we found it just plain silly and ludicrous and gave up wasting our time less than halfway through. Waste of time and money from the viewpoint of our sense of humor. 5.0 out of 5 starsFunny Pair!!! I rarely write reviews about movies, but this is one of the funniest movies I've seen in YEARS and I just had to comment. My favorite actors are starring in this movie - Jason Bateman is, as usual, just adorable playing the straight character or the everyday guy. Melissa McCarthy is a hoot and even when she's not trying she has me crying with laughter. I loved this film and own it in every possible format and in Amazon Video and Ultraviolet streaming outlets. It is a WINNER and I sure hope Bateman and McCarthy get together again!!! Funny, but coarse, of course. Jason Bateman has that great sense of underplay where he gets his thoughts across without heavy action, unlike his co-star who is all bluster and action. There is a bit of heart in here, and it is revealed late in the story...but if you like it rude and crude you will find a lot of laughs. Sometimes the evening calls for a funny dose of punch in the gut. 5.0 out of 5 starsIf you want to laugh, watch this! This is a hilarious movie… We really love both of the main actors in this one. You can’t go wrong! If you don’t laugh there is absolutely something wrong with you and you must go get some help immediately. We’ve seen this so many times and we decided to take it in our RV when we went glamping and we laughed our buns off...again! You must rent it and possibly buy it, you won’t regret it. Great actors and I also love Amanda Peet who is his wife in this movie. She is such a cutie pie! Just love her! I was amazed to see how many people gave this movie a so-so rating. It kind of makes me wonder if we were watching the same film. 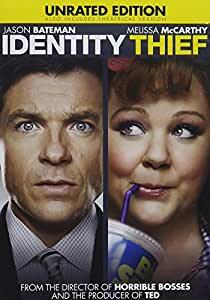 I though that Identity Thief was hysterical and found that both Jason Bateman and Melissa McCarthy had great chemistry as well as great humor. The movie is about a guy whose identity is stolen and the law pretty much doesn't do a damn thing as it was done from out of state. 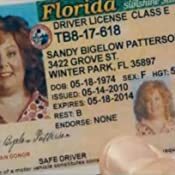 Jason's character(Sandy) is forced to go hunting for the perp who is guilty of stealing his identity and throwing his perfect little life up in chaos. When he finds her, he must bring her back to his own state before the law will do anything and the road trip begins. I found the chase fun, the situations they get themselves in hysterical and I truly believe this is one of the better comedies out there. 5.0 out of 5 starsA Laugh to Help ease Life's Pains! I enjoyed this movie so very much and am going to use Alexander's review as it is exactly how I feel. When I go see a movie I just go to have fun and get away from real life for a little bit and that's what this movie did for me. This movie is honestly the funniest movie I have ever seen I was laughing throughout the whole movie and it wasn't like I was waiting bored for the next laugh because it kept me interested and satisfied in between the laughs. 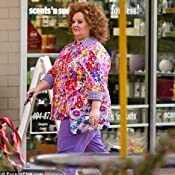 The movie even had a little heart in it with Melissa McCarthy's character and she developed throughout the movie and became someone that was respectable even though she is stealing people's identities left and right. I honestly loved this movie so much and people can say all they want about it I thought it was perfectly scripted, super funny, and a little touching. 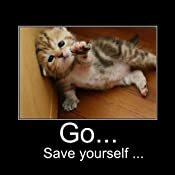 I would recommend this to honestly every person I know.